Michelin today offers a range of collection tyres for classic cars which will fit a number of vehicles made between the Thirties and the end of the Seventies. The technological excellence of this range goes hand in hand with the historical authenticity of the vehicles. These tyres, reproducing the exact configuration of the model of the time in terms of size, tread pattern and aspect ratio thus ensure that the vehicle remains entirely in keeping with the period. In this way, Michelin, by offering you a tyre which is both safe and historically accurate, intend to make their contribution to safeguarding, promoting and perpetuating motoring heritage. For over 100 years cars and tyres have become an inseparable couple. Their long history started in 1891, when the Michelin brothers invented the first Michelin detachable tyre. This was a tyre for a bicycle. Four years later the design was adapted for the motor car, and the 'Éclair', a car designed by Michelin, covered 1,200km on Michelin tyres in the Paris-Bordeaux-Paris race. This was an event that heralded a century of innovations and Michelin's commitment to people's mobility. The first concern at that time was to increase the reliability and life of the tyres. Their life-expectancy was really terribly short, between 1,200 and 1,500km.  Two important innovations were developed to give the tyre the resistance to wear that it had hitherto lacked. The first was the introduction of carbon black in the manufacture of Michelin tyres, which increased the life of the tyres fivefold. This component which Michelin began using ion 1917 is what has given tyres their unmistakable black appearance. The second innovation was to introduce layers of non-woven fabric into the casing whereby all cords ran parallel; This gave birth to the so-called cable tyre in 1919. These two major innovations lead to Michelin's first major result in 1923 with the launch of their Cable confort tyre, the first low-pressure passenger car tyre (2.5 bars) Its life was ten times longer than that of the first tyres. Two years later, the integration of bead wires into the tyre bead fixed the tyres onto the wheel rim with greater reliability than the beaded edge. From this point, a distinction between beaded-edge and cross-ply wired on-tyres had been made and the Cable confort, initially fitted with a beaded edge, was the first to benefit from this innovation. Michelin continued the search to enable lower pressures, combined with a slower rate of wear and it was to succeed in 1932 when Michelin offered motorists a very low-pressure tyre (1.5 bars) which was twice as hard-wearing as the Cable confort; the Super comfort. Back in 1929, Édouard Michelin requested that their manufacturing engineers design a tyre for the railway; until then it had not been envisaged that a tyre could bear such load. It was not long before the limitations of the textile casings became evident and so Michelin's engineers began to think in terms of a tyre that would include some metal in its construction. And so, 1934 Michelin managed, for the first time in history to get metal and rubber to bond together. Using this technique, Michelin's engineers designed the railway tyre for La Micheline Railcar. In 1938 Michelin applied this invention to road tyres producing a tyre for heavy road vehicles incorporating steel into its composition. This was the metallic tyre, which was endowed with high resistance to over-heating. This crucial development preceded the perfecting of a new generation of tyres which were to be tyres with a radial casing. This was the inauguration of an extensive family of Michelin car tyres, which would undergo many technological developments. The first of this family, the Michelin ZX improved the performance of the X tyre in terms of ease of driving and comfort. Concurrently, Michelin was involved in research in developing a tyre for racing cars based on the radial technology. These years of research led, at the end of 1965, to the launch of the Michelin XAS tyre. The XAS was a radial tyre with an asymmetrical casing construction and tread pattern. Research carried out on speed led to Michelin investigating low profile tyres. The principal of a tyre with a section width greater than its height dates back to 1937 with the Michelin Pilote tyre. However, the invention of the radial tyre and the introduction of more and more powerful cars led to new thinking about the designs of such tyres. The research produced a series of tyres, the aspect ration (height of sidewalls: section width of the tyre), of which was less than 0.7 (70 series), 0.6 (60 series) or even 0.3 (30 series) whereas prior to that this ratio was always greater than, or equal to 0.8 (80 series). The first tyre in the 70 series was marketed from 1970 onwards. This was the Michelin XWX, the first production line tyres capable of speeds of 270kph (169mph). Among these new ranges of Michelin tyres, there is one which was both a forerunner and a special case; the Michelin TRX range.